The Marin Fish and Wildlife Commission is accepting proposals for conservation and education grants to help local nonprofits promote environmental education and habitat restoration projects in Marin County. The application deadline is March 1st. Grants typically do not exceed $5,000. Approximately a dozen nonprofits are awarded grants annually through the program. 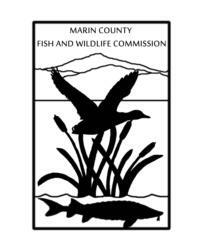 The Marin County Fish and Wildlife Commission advises the Marin County Board of Supervisors on expenditures of funds obtained through fines levied for fish and wildlife violations in Marin. The funds are designated by Section 13100 of the Fish and Game Code to be used to enhance fish and wildlife resources in the county and for public education. The commission is staffed by the Marin County office of the University of California Cooperative Extension. Applicants must qualify as a not-for-profit 501(c)3. Grant proposals are submitted to the commission chair during the first quarter of the calendar year and are recommended on a competitive basis based on availability of funds. Commission members review applications at their regular April meeting, set funding levels, and vote to recommend projects for approval by the Board of Supervisors. For more details about the grant application process call 415-473-4204.